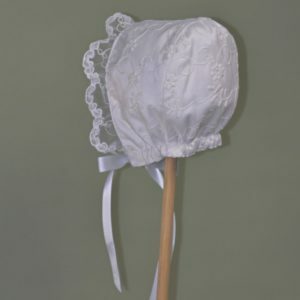 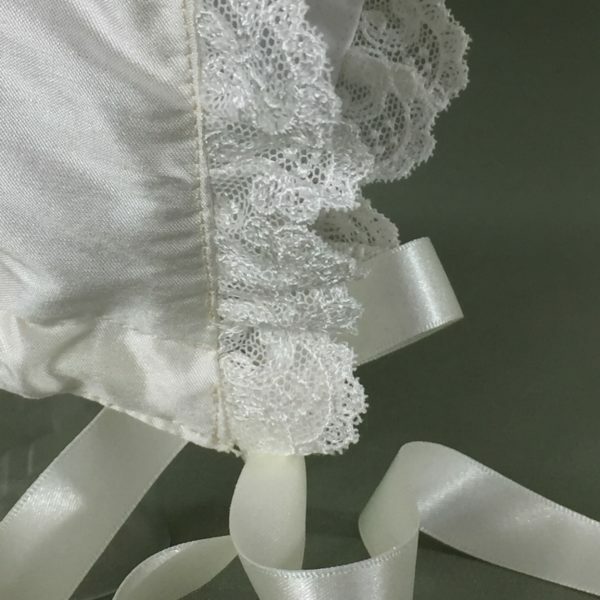 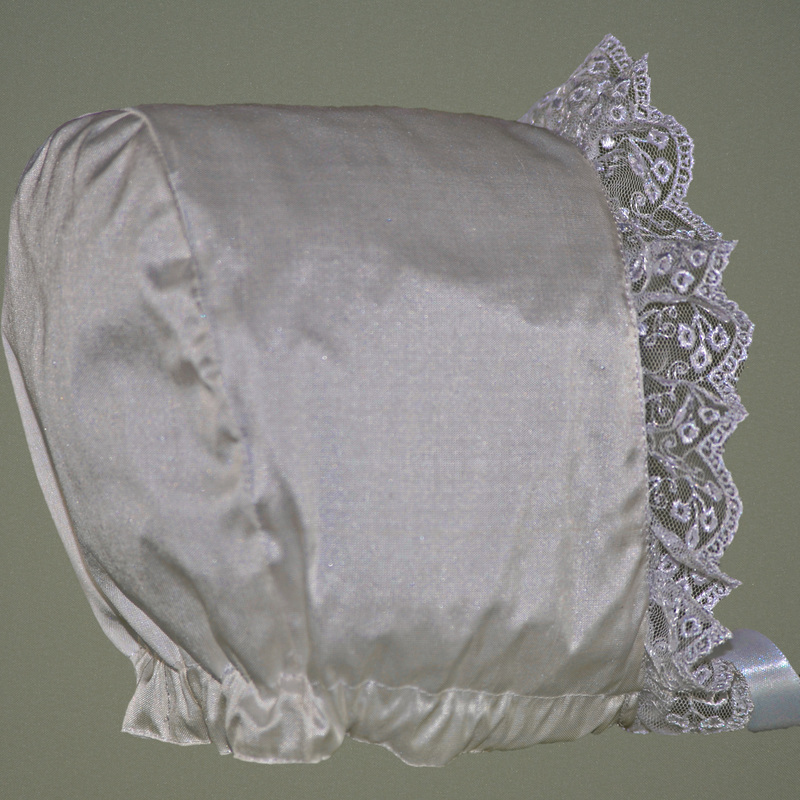 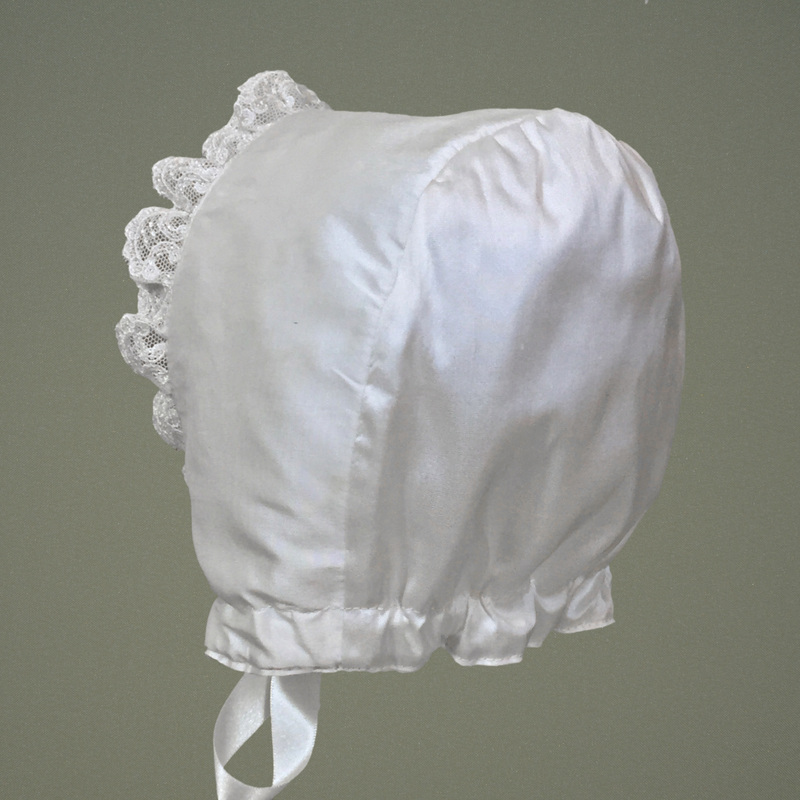 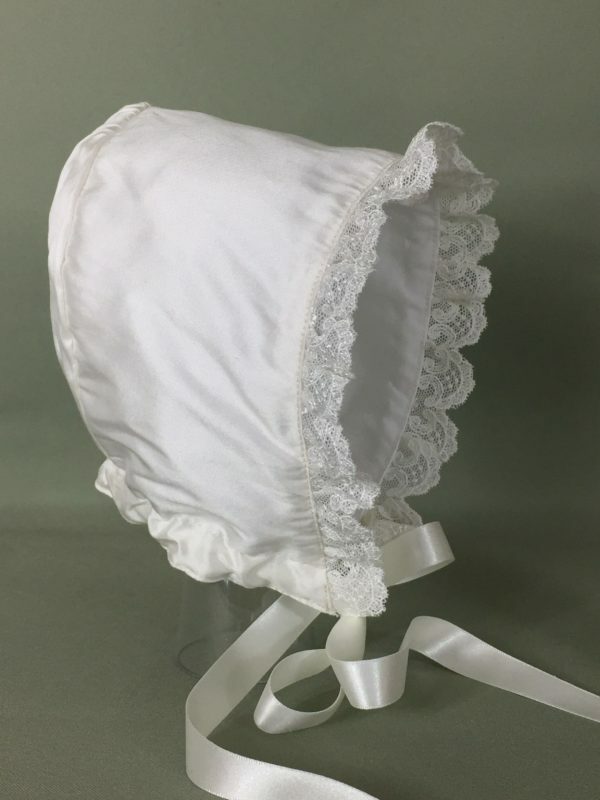 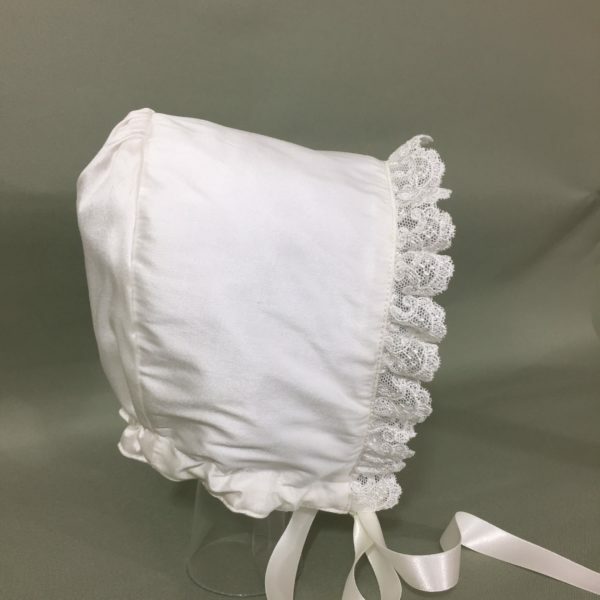 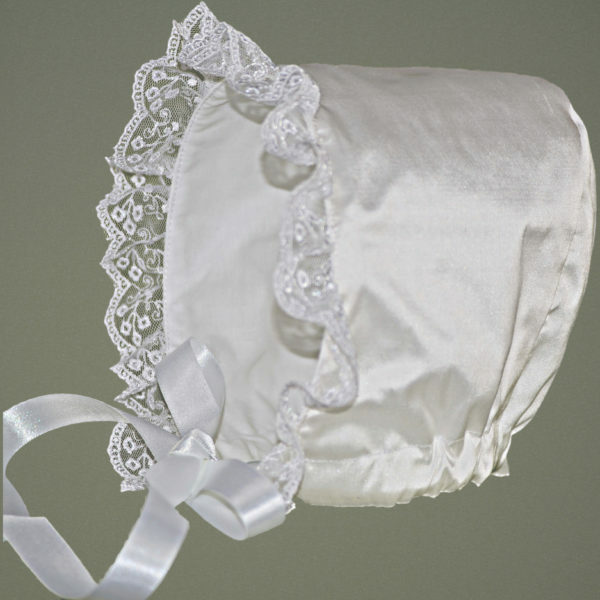 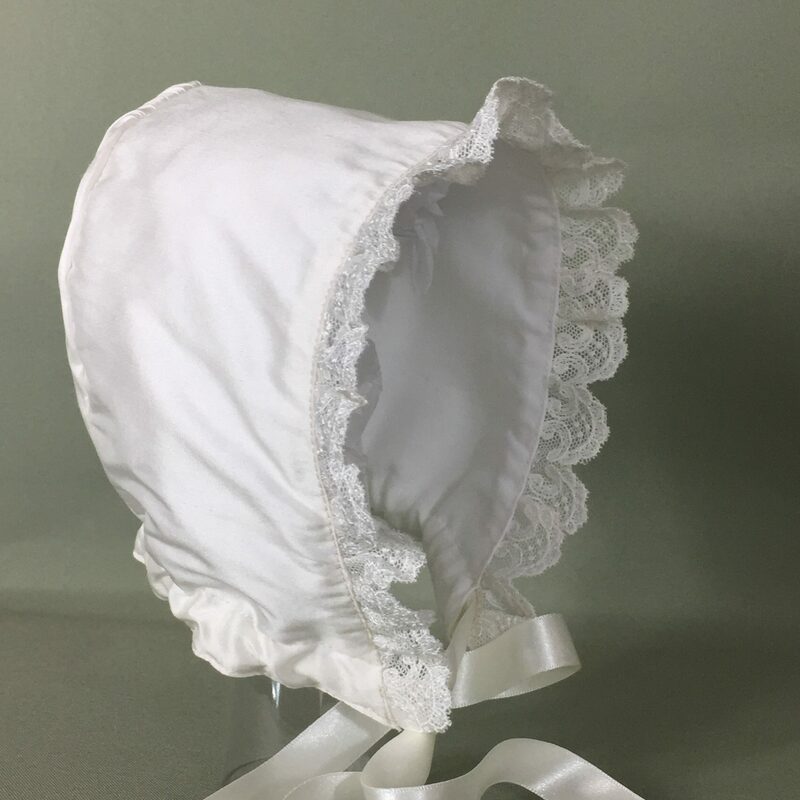 Our ‘Rigan’ Christening Bonnet is handmade using Dupion Silk and is completed with a beautiful embroidered Tulle. 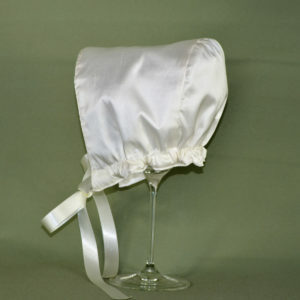 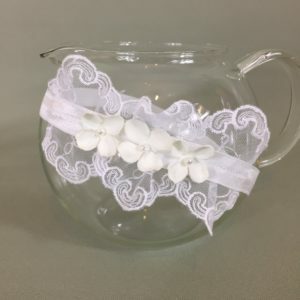 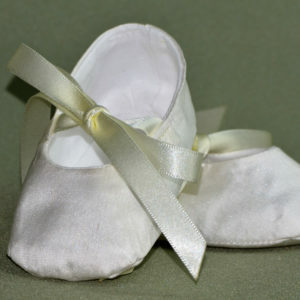 It is fully lined and finished with an coordinating ribbon for fastening. 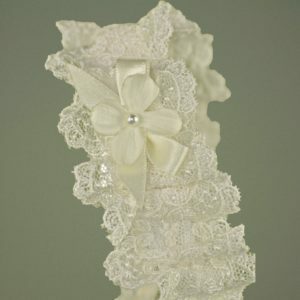 It is equally lovely on a boy or girl. 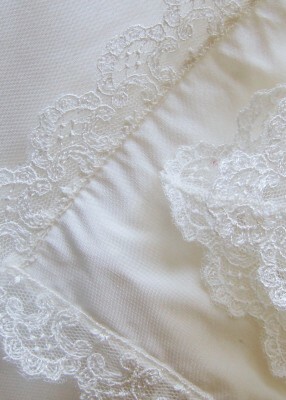 Please Note our close up of our lace in the gallery. 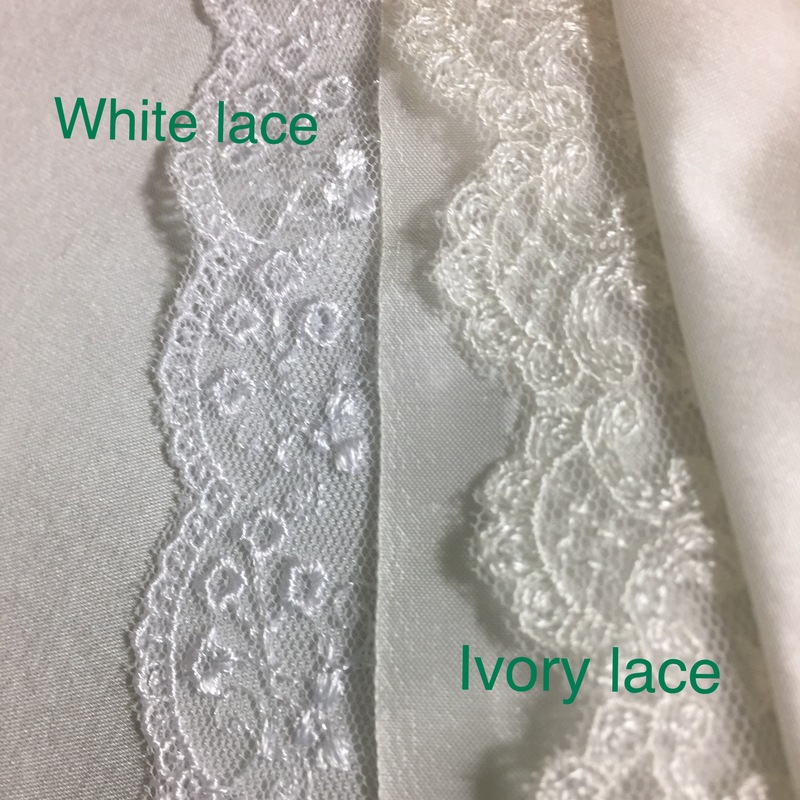 Our White is a slightly different design to our Ivory.